Something’s not right in the United States. 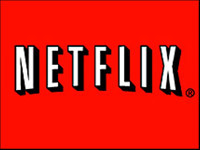 Increasingly people start to pay for Netflix subscriptions so they can stream movies on demand. In the States Netflix nearly doubled the number of new subscribers in the first quarter of 2010, from 1.7 to 3.3 million. In total, Netflix now has 22.8 million paid subscribers in the US, which generated a total revenue of $706 million in the first quarter of this year. It doesn’t take a genius to conclude that Netflix’ popularity has a negative effect on the movie piracy rates in the US. Although no torrent site has gone out of business yet, Netflix certainly is a serious ‘competitor’ for access to movies. As we’ve said a few times in the past, the only way to decrease piracy is to compete with it and offer products that are superior to its pirated counterpart. It appears that for (older) movies Netflix is on the right path here.